Chipper stool seeks derrieres for at-home or café canoodling. Chipper stool seeks derrières for at home enjoyment or café canoodling. Available in nine finishes: aqua, black, green, grey green, humble red, natural yellow, simple blue, off-white and watermelon. Stackable and suitable for use indoors or out. Also available as a chair or barstool. Shop the entire Hot Mesh Collection. 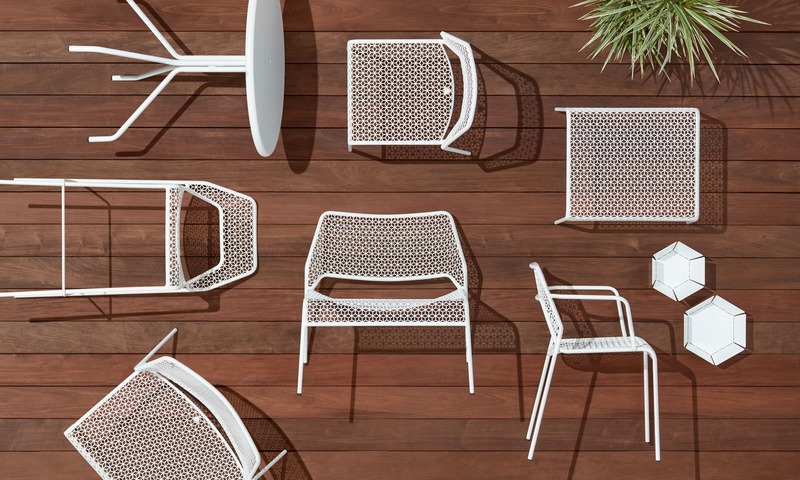 Hot Mesh takes its inspiration from the classic café chair designed by Thonet way back in 1859. You may not know it as the Thonet chair (or maybe you do! ), but you know the one. 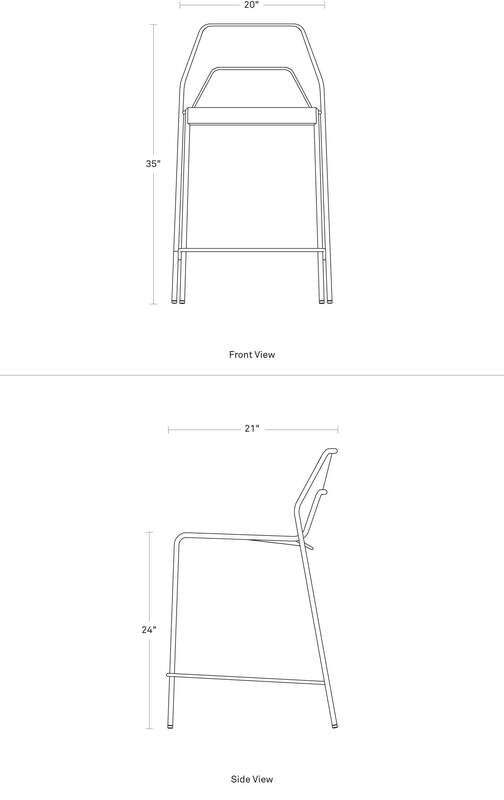 We wanted to design a durable, stackable, inexpensive chair that could be used inside and out. The Thonet chairs’ use of two bent pieces of wood to form the seat back is a study in economy. To make our chair affordable, we used a similar strategy and tried to make a sturdy frame from the least amount of material, while also creating a nice silhouette. The last step was choosing the right material to finish the seat and back. Off-the-shelf materials like perforated metal and screen-like materials got the job done but were dull. We fixed that by creating our own pattern and custom perforated steel – turning a hot mess into Hot Mesh.